Lok Sabha elections are scheduled to be held in seven phases from 11 April to 19 May 2019. Assembly elections in Andhra Pradesh, Arunachal Pradesh, Odisha and Sikkim will be held simultaneously with the general polls. 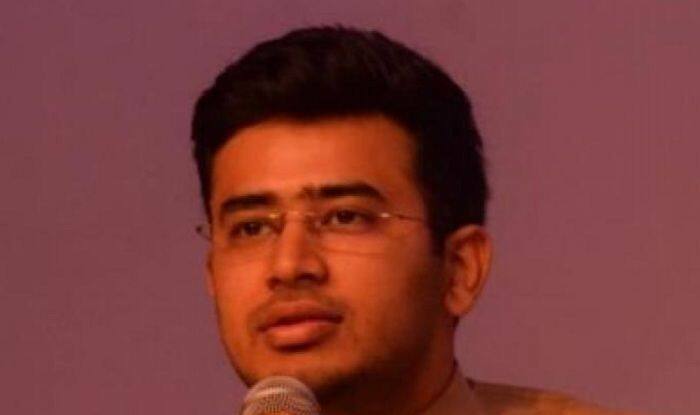 New Delhi: The Bharatiya Janata Party (BJP) has fielded Karnataka Yuva Morcha General Secretary Tejasvi Surya as its candidate for Bangalore South Lok Sabha constituency, which was expected to go to Tejaswini Ananth Kumar, widow of late Union Parliamentary Affairs Minister Ananth Kumar, who passed away in November last year. The late minister had registered thumping victory from the prestigious seat for a record six times between 1996 and 2014. Meanwhile, the Congress party has fielded party veteran and Rajya Sabha MP BK Hariprasad from there. Notably, late Ananth Kumar had defeated the veteran Congress leader by 65,000 votes in the 1999 Lok Sabha elections. “Tejaswini ji (wife of late Union minister Ananth Kumar) has given me her blessings, she has also instructed all the karyakartas who were anticipating her candidature, that the party’s decision is the foremost decision and we all have to respect it,” he told ANI. Speaking to a portal, local BJP leaders claimed that party’s central election committee decided to field the 28-year-old leader over Tejaswini just to attack the family politics of JD(S) and Congress. “Tejaswini is a good candidate. But she is Ananth Kumar’s widow. She wanted to claim his legacy. Perhaps, our high command thought that it was not appropriate and has picked young face Tejasvi Surya,” a leading portal quoted a state leader as saying. 28-year-old Tejasvi Surya is a practicing lawyer in the Karnataka High Court. Touted to be a fiery orator, Surya is considered to be a protege of the party’s right wing parent organisation — the Rashtriya Swayam Sevak (RSS). He is also a member of BJP’s national social media team. Surya’s uncle Ravi Subramanya is a three-time BJP MLA from Basavanagudi in the same Lok Sabha constituency. Banagalore South Lok Sabha constituency will to poll on April 18. The counting of votes will take place on May 23 and the results will be declared on the same day.